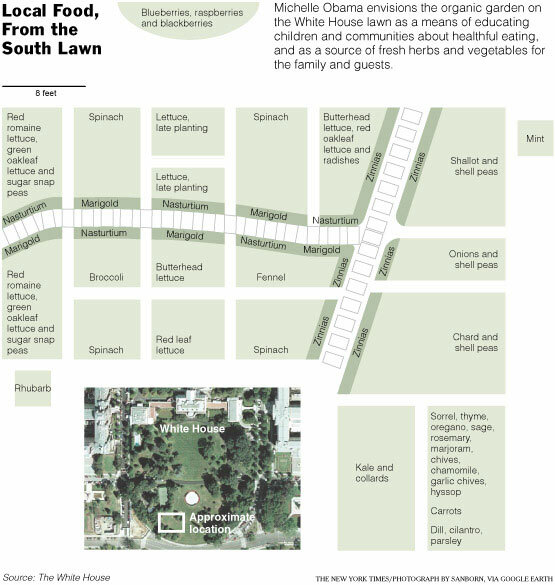 The White House will soon follow in the footsteps of the University of Connecticut by creating its own vegetable garden. According to a recent New York Times story, the staff and the Obama family began to create the garden on Friday, the first at the White House since World War II. Mrs. Obama was inspired to create the garden after having struggled as a working mother to feed her children nutritional food. The kids’ pediatrician woke her up. “He raised a flag for us,” Mrs. Obama told the Times. According to the New York Times story, the garden will have 55 varieties of vegetables, including five types of lettuce, chard, collards and black kale. They will also grow berries and a variety of herbs. The EcoGarden club, a student-run organization of about ten at UConn, runs the school’s vegetable garden. They grow a variety of food, including tomatoes, herbs, and various greens. The club makes profit off their garden by selling food to the dining halls and local restaurants, but that isn’t their primary goal. They sold over $900 worth of produce, primarily greens, to UConn’s Whitney Dining Hall in 2005. If people aren’t able to grow a garden, there are other changes they can make to improve their diet.